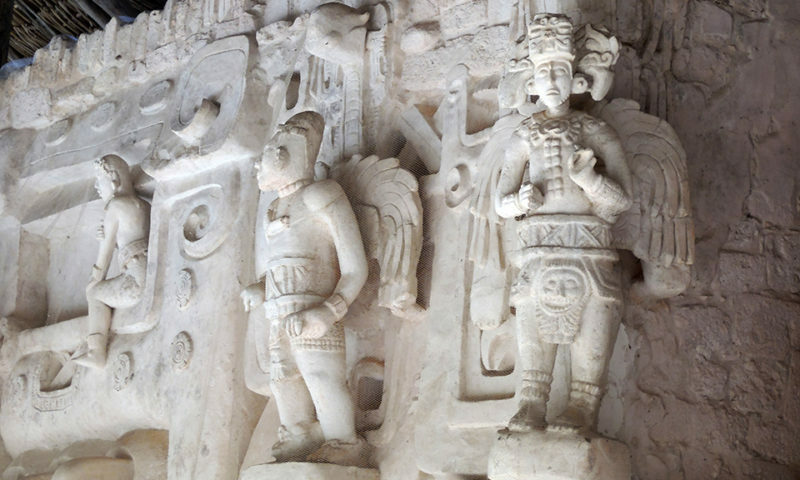 This island is located 8 miles from the coast of Cancun and its named is because this island was dedicated to Ixchel the Mayan goddess of fertility and the moon, which received offerings with female figures that were deposited on its beaches. When the Spanish conquistadors arrived and observed the figures, they named Isla Mujeres. This island is very visited mainly for its beaches, and the calm and cordial atmosphere of its inhabitants, besides its diverse attractions. HOW TO ARRIVE TO THE ISLAND. To visit the island there are different types of organized excursions. These can be by boat or by catamaran. At both you have snorkeling activity and lunch and drinks included. Thera are packages too for swimming with dolphin at the island. 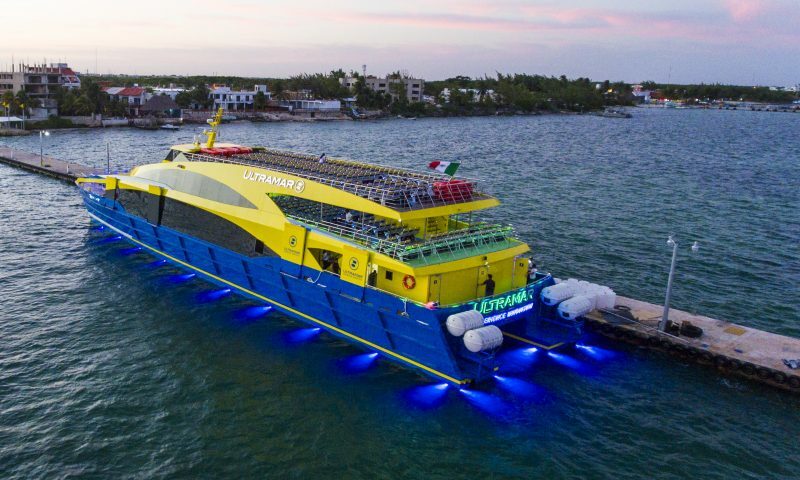 If you want to visit the island by your own without any excursion, there are two departure ferry docks named Ultramar located in the hotel zone of Cancun. These ferries leave every half hour from 8:30am to 5:30pm. One of the dock name is Playa Tortugas and the other is El embarcadero. If you are staying in Cancun you can get to these piers by taxi or local buses. If you are in the Riviera Maya you can contact a transportation company to receive a quote that give you the service to the pier. One of these companies is Canada Transfers. WHAT TO DO ON THE ISLAND. Take a boat ride to take you to know the points of greatest interest. These boats are available during all day and you can hire them directly at the pier. 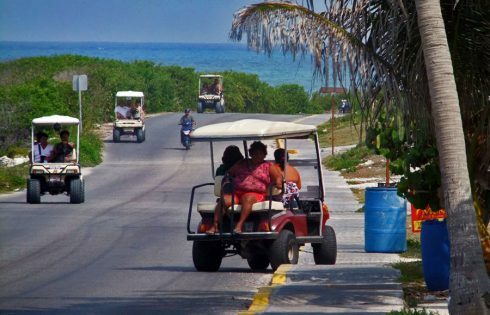 To know all the corners of the island and observe its local life, nothing better than renting a golf cart, motor scooter or bicycle and enjoy the tour. 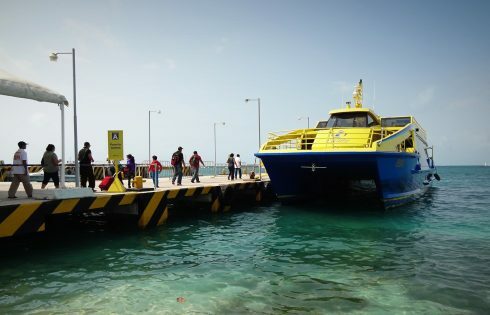 At the pier you can hire a guided excursion to another island called Isla Contoy which is the vicinity of Isla Mujeres. This Island is an ecological reserve with more than ninety species of birds and a great variety of flora and fauna. The turtle farm is another place to visit on Isla Mujeres. It is in the southern part and is the home of giant sea turtles that spawn between the months of May and September. 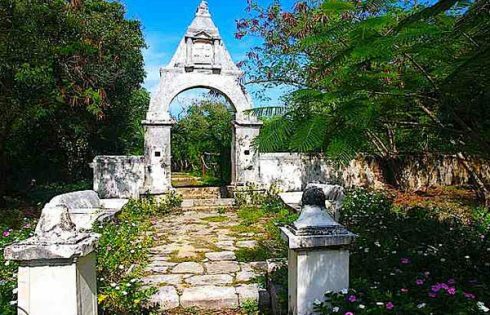 La hacienda Mundaca was built by Fermin Mundaca who was a pirate and slave trader. He took refuge and settled in Isla Mujeres in 1860 after having faced off against the campaigns of the British Navy. This is another place to visit. El Garrafon is the natural park in Isla Mujeres and is famous because it is surrounded by a coral reef of shallow and gentle current, inhabited by a lot of multicolored fish. Open daily from 8.30am to 6:30pm. 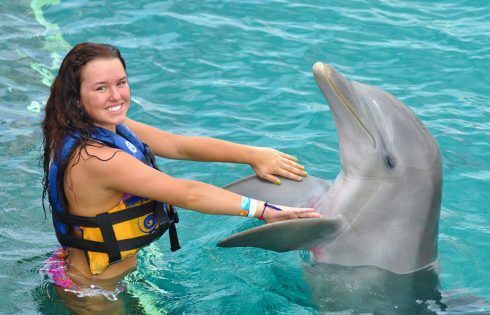 Dolphin Discovery is a marine park that is located in the southern part of the Island and is where you can have the experience to swim and interact with the dolphins. 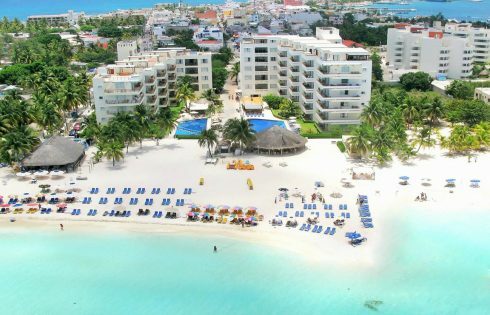 The center of Isla Mujeres is another option to know and enjoy walking along its cobbled streets, knowing its church, the main square, the municipal palace, the house of culture, as well as choosing one of the many and diverse restaurants to eat or dine. Also in the center you can find a lot of craft stores to buy the souvenir you have to carry. Isla Mujeres is an excellent recommendation to visit, so you do not miss it and enjoy it. 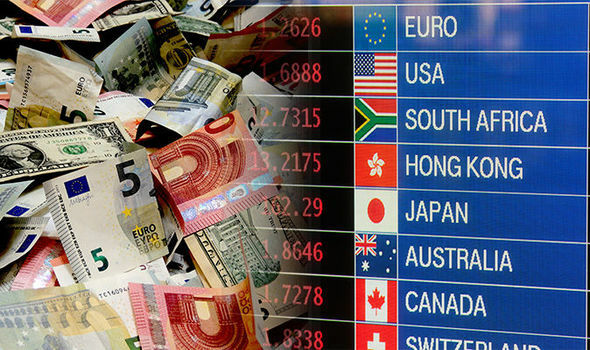 Should you bring USD, CAD or Pesos to Cancun and Riviera Maya? Airport Staff Our friendly airport staff will greet you and make sure your vehicle is ready up on your arrival Drivers We only recruit highly experienced drivers and fully bilingual , with exceptional customer service skills. Pirates in Cancun airport, how to avoid them? What is that on my hotel beach? Let´s make a great experience! Order your meal in your booking! Tulum ruins, everything you need to know.